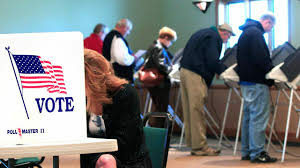 Our current election process is a byzantine mess of old boy politics and time sucking paperwork, when all we really need is one click and one vote. Why is it that we can do all kinds of business on the internet; trade stocks, withdraw money from banks, pay off mortgages, and carry a rolling monthly at American Express for $5,000, but we can’t just vote? The archaic system of delegates is another unnecessary complication. It’s 2016. Why is there a committee between you and your vote?